IRS Form 1098-t, "Tuition Statement" is a tax form issued by the United States Internal Revenue Service. The latest version of the form was released in January 1, 2018. A up-to-date fillable 1098-t Form in PDF is available for download below. The IRS-issued "Tuition Statement" is available for digital filing or can be filled out through the Adobe Reader application on your desktop or mobile device. for qualified tuition and related expenses that were reported on a prior year Form 1098-T.
credit, see Pub. 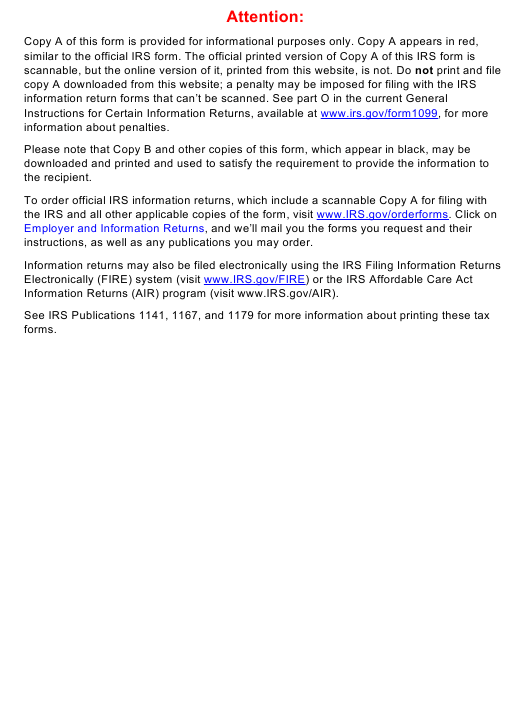 970, Form 8863, and the Form 1040 or 1040A instructions. of the education credit you claim for the year. number on this statement. It may also include contact information for a service provider. educational assistance in income in the year it is received. For details, see Pub. 970.
requirements for (and how to figure) any education credit that you may claim. (Form 1040X) for the prior year. school was not able to provide it. Contact your school if you have questions. beginning January–March 2019. See Pub. 970 for how to report these amounts. full-time workload for your course of study at the reporting institution. refunds made during 2018 that relate to those payments received during 2018.
degree, graduate-level certificate, or other recognized graduate-level educational credential. the year (may result in an increase in tax liability for the year of the refund). be aware of this change in figuring your education credits.